2. That the misconduct was an “Aggravated Breach” as defined by FA Rule E3(2) in that it included a reference to ethnic origin and/or race and/or religion or belief. The Independent Regulatory Commission found charge 1 proved. So on the question of antisemitism: it was found that his gesture was aggravated by a reference to ethnic origin and/or race and/or religion or belief, but it did not find that Anelka was himself “an antisemite” or that he had an antisemitic intent. It is the FA’s position that Anelka performed an antisemitic gesture but without intent to promote antisemitism or without being, himself, an antisemite. 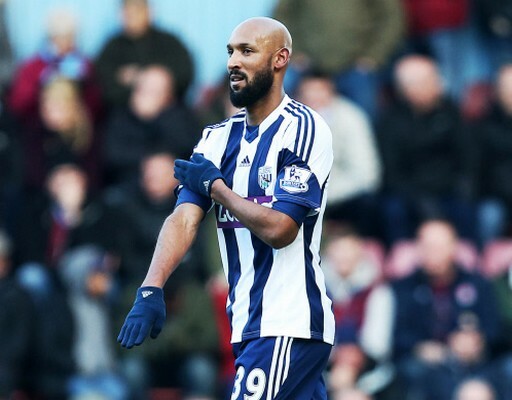 Originally Anelka had said that the gesture was only performed in solidarity with his friend Dieudonné. It seems to be the FA’s position that Anelka did not know that the gesture, or that Dieudonné who invented it, were antisemitic. This is difficult to believe, particularly given that he described Dieudonné as his friend. Dieudonné has been found guilty six times in France of antisemitism; he is a well known Holocaust denier; Anelka is French, and so, it is to be assumed, is more familiar with these issues than most people in the UK, at least before he decided to import them there. The match was screened live in France. They said what he did was antisemitic (aggravated by race etc) but they accepted his claim that he was stupid, and didn’t know what he was doing. I’m not convinced he’s so stupid. To understand the quenelle, its origins and how it works, see this piece by David Hirsh. For the FA finding see here. Click here for images of the quenelle being performed in explicitly antisemitic contexts. The FA finding is a disgrace. I hope West Brom finds it very hard to get sponsors now that Zoopla has, honourably, pulled out. It is far more progressive than those who think that the antisemitic nature of a comment is dependent on the speaker’s intention. After all, e.g. jenny tonge is probably sincere in her belief that she never intended to be antisemitic, even though some of what she says is ‘classical’ antisemitism. Likewise the steve bell cartoon and the recent German octopus cartoon. The FA’s decision means that the empty ‘I apologise if I offended anyone’ defence – the one that casts those abused as the one’s with the problem and evades the real issue (racism)- is treated with the contempt it deserves. So well done the FA. “Not an anti-Semite”. what a bloody disgrace. The man’s a bigot supporting another bigot. I don’t follow football (but my girlfriend does) and the language she used (she’s Indian not Jewish) cannot be repeated here! I’m told he’s nothing but trouble wherever he goes. Another setback for reason on the same day the Islamists achieve another victory in censoring Katy Perry’s video. Islamophobe? Or did they say it was an insult to Islam? Any anyway, comparing Jews and Muslims is reactionary politics – it ‘others’ both groups and makes the issue of racism, islamophobia and racism appear a ‘personal’ problem and not a generic social one. Finally, it implies Muslims are privileged in the uk and us vis a vis other minorities, if not the majority. That is as absurd as saying Jews have special privileges – and we know who says that!! And, finally, I don’t give a damn what some Muslims complain about. It has nothing to do with the FA.s decision today. This is about antisemitism and attitudes to it. An antisemite by contrast might be expected to take a different line. You are wrong, I am not antisemitic…the gesture is not anti semiotic, it is antiestablishment…this is the defensive argument of the anti-Semite. When it comes to sexual harassment, the rules are simple: if a woman feels she has been sexually harassed at work, she has been. There’s no Anelka defence.You can’t argue..you are wrong, a pinch on the bottom is not sexual harassment. Likewise it is not for Anelka to tell Jews what is or is not antisemitic…if Jews feel an act is antisemitic, it is. The question for the offender is how they respond. Apologise with humility or go on the defensive? Anelka made his choices clear twice. He carried out the offensive action for all of the world to see and then adopted the antisemites defence. In as much as the FA were half right; the half they got wrong is deeply worrying for all Jews. I am disappointed that West Brom waited for the FA outcome to act, they had all the evidence to make their own judgements on Anelka and chose not to. I welcome their recent move to suspend him but what a shame they didn’t have the courage to deal with it immediately after the quenelle. We shall have to wait for the detailed report to see why they believed Anelka on the one hand was good enough pals with Dieudonne to dedicate a goal to him on an internationally televised match, and yet seemed to know so little about the man, or the gesture he used made famous by him? Gary Carp, this should be deeply worrying for everyone, not just Jews. Jews cannot cure the virus of antisemitism, not even when it manifests itself in some mutation among their own. Hitler tries to cure the world of antisemitism by getting rid of its source: The Jews, in the same way that Caligula , beheaded one of his nephews to “cure” him of his cough. It is hard to figure out what antisemites want except this type of “cure”. Hard to figure out how a quennel gestured on the tracks to Auschwitz is anti establishment. I suspect that my difficulty and confusion are probably shared by those who make this gesture, like Anelka. I doubt he even begins to understand what about his nonverbal gestures provokes such shock and horror. He was just being a cool dude, mimicking a famous French comedian’s favourite gimmick. What can possible be wrong with that? Obviously I meant Antisemitism not semiotics… Don’t you just hate predictive text! Actually I think the FA has handled this fine. Anelka’s career is over. No team East of the Bosphorus is likely to offer him a contract and he will almost certainly never again play for WBA. By showing leniency the FA has left him with nowhere to place the blame except his own stupidity and avoided making him into a victim.